MIDDLETOWN, NY- Anthony Perrego has figured out something at “The House of Power” He’s fast and its noticed by anyone that’s watching his performance. This week Perrego didn’t start close to the front, he started 14th and still managed to work his way to the front for his second win of the season. Donnie Wilson and Danny Kronk lead the field to the green for the start of the 30-lap feature. Wilson set the early pace leading the first 6-laps of the feature before the first caution of the night flew.With the field regrouped it was back to green and once again Wilson was your race leader. With the track surface having some ruts and holes in it, Wilson was hanging onto the car with all his might. Coming through turns 3, and 4, Wilson’s car was jostled into one direction while trying to steer it into another direction. Caution flew again on lap 11 this time it was for Jimmy Horton who dropped out of the feature and for Jerry Higbie who had damage to the right side of the car including a rub rail that was hanging and a flat right front tire. Higbie was racing well inside the top ten when his car was mangled up. He would later rejoin the field. The field regrouped and attempted to go green and an immediate caution came out for third place runner Chris Schultz who got turned around on the restart. With 14 laps of the feature in, Anthony Perrego blasted into second on the restart and one lap later exiting turn four he overtook Donnie Wilson for the lead. As Perrego was checking out, Wilson was now having his hands full of invader Danny Creeden. Creeden driving his new Westar Mechanical 16x, took control of second just one lap later on lap 18 with a fourth turn pass of Wilson. As Perrego began to stretch out his nearly 5-second lead over Creeden, he hit lap traffic as the feature wound down with just 3-laps to go. 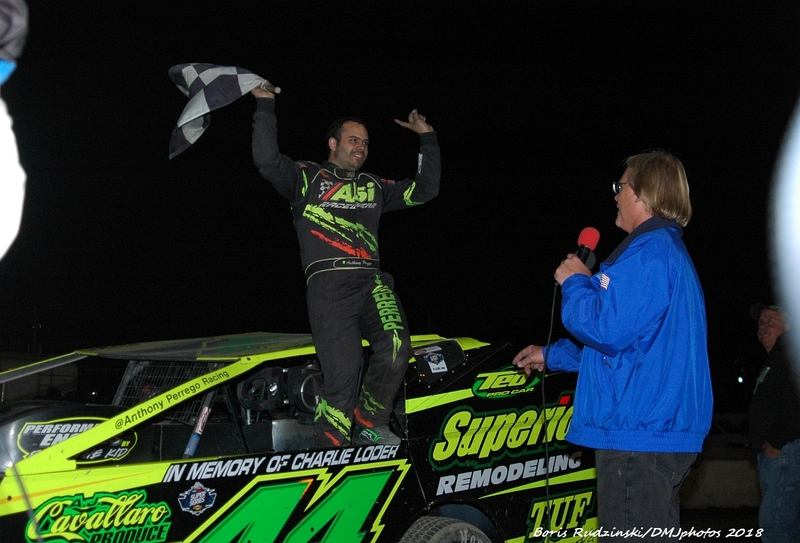 Perrego went on to score his second win of the season and in a row over Creeden, Wilson, Cronk and Billy VanInweegen. 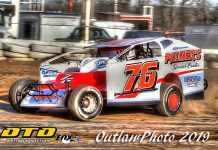 Danny Creeden made another apperance at Middletown. However he wasn’t expecting to be back for Saturday. Creeden who normally races at Five Mile Point on Saturday’s was called on Friday at 1220pm and was told not to come back by promoter Andy Harpell. Creeden finished second on the night but the motor in the car wasn’t legal for competition in the big-block division. More on this in a secondary story here at Dirt Track Digest. Donnie Wilson scored a well earned third place finish. It marked his best finish in a year. 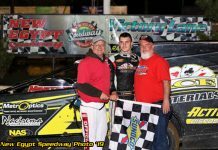 Jimmy Horton will be in competition on Tuesday for the Hard Clay Open and will also be at the upcoming Super DIRTcar Series race coming up at Bridgeport Speedway in NJ. “I like these Deyo races.” added Horton. Bob McGannon who had a top 10-finish on the night after starting 22nd in the feature, announced that after 34 years he has sold his excavating business. No ARCA races in 2018 for John Ferrier. No passing ? Tommy Meier, Bob McGannon, Anthony Perrego and Danny Creeden all marched to top 10 finishes after starting deep within the pack.